Third Darshana takes place at the hour when the lord takes his cows to pasture. 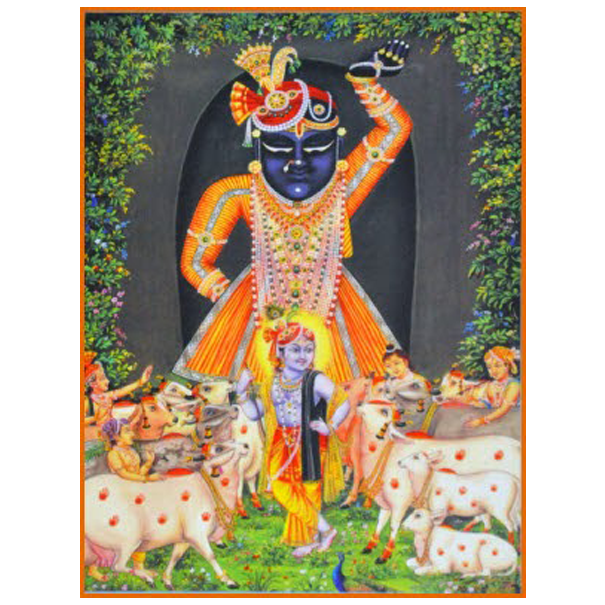 The Mukhiya of the Gaushala (Cowpen) of Nathdwara visits Shrinathji at this time to inform him that all his Cows are well. He is then offered makhan mishri, a light dish with a milk base. The refreshments offered at gwala darshana have to be light, since the lord is believed to have already eaten the comparatively rich foods offered to him by the gopis earlier. Neither flowers nor his flute are shown during this darshana it is assumed that he will be playing with his cowherd friends.